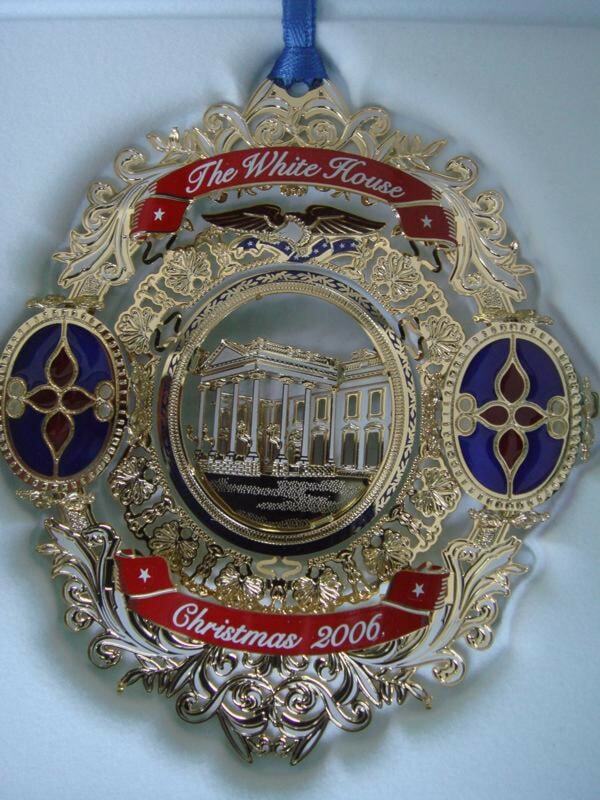 Official 2006 White House Historical Association Ornament. 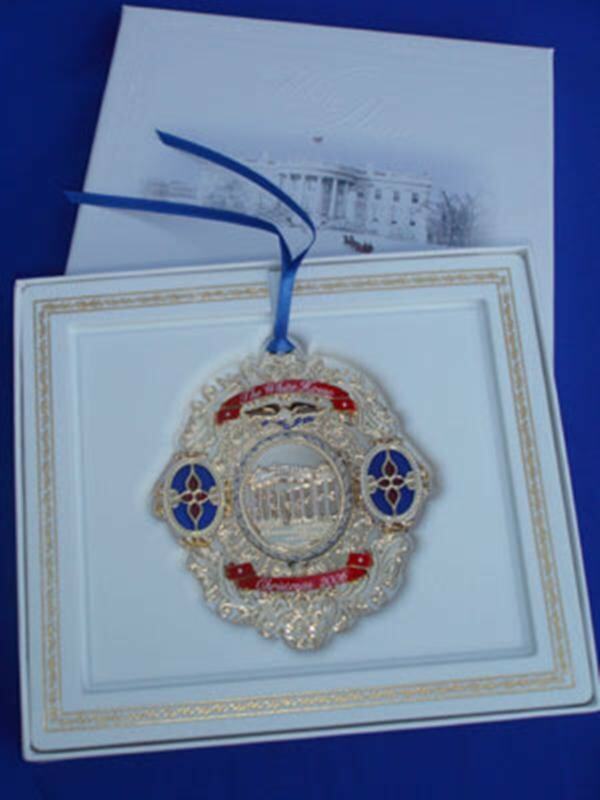 Honors the administration of Chester A. Arthur, 21st President of the US. Features the North Portico of the White House. beneath an American bald eagle, flanked by two stain glass-like ovals. Design is inspired by the motif of the Arthur White House. Influenced by the work of Louis Tiffany. 3 1/2" x 3". 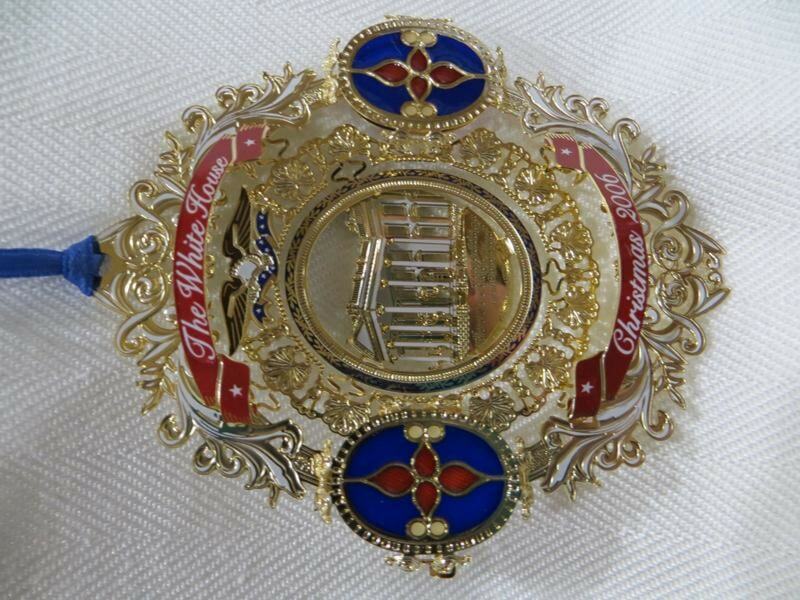 Beautiful white gift box.